China’s new status as a standard bearer In artificial intelligence and IOT has left experts wondering… How are they powering these demanding technologies? The answer is the cloud. 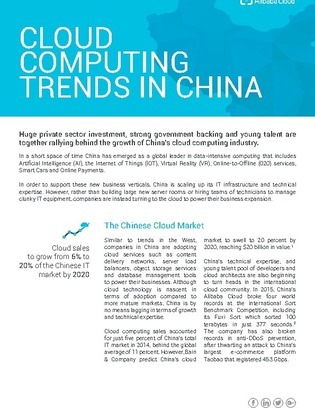 How the Chinese government is adapting its regulatory trends and compliance laws to accommodate the cloud, and more.